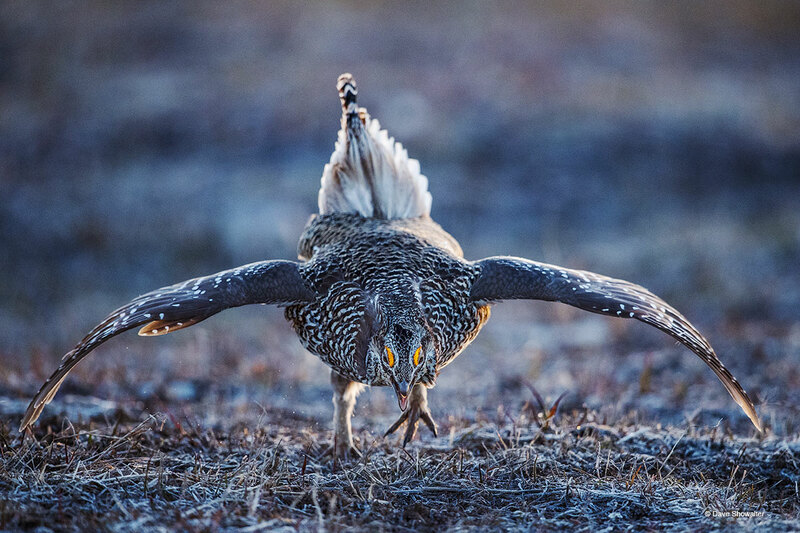 Columbian Sharp-tailed grouse perform an a chromatic, stomping, whirling, leaping display for females on spring leks. This mating ground holds around two dozen birds on a private land sub-alpine, mixed sagebrush meadow that's ringed by aspen and National Forest. Photo © copyright by Dave Showalter.